Thomas Rhett and his wife, Laura Akins, have two beautiful daughters, Willa and Ada. If you follow him on Instagram you know he is one of the cutest, coolest dads out there! Check out 10 of our favorite Instagram posts of Thomas Rhett showing us how he loves being a dad! 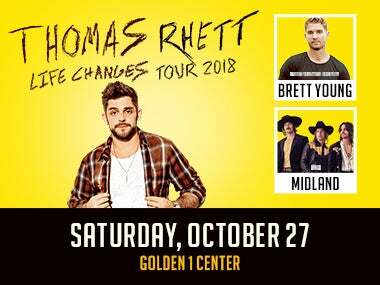 Don't forget to get tickets to see Thomas Rhett here at Golden 1 Center, October 27!